FIRE! | Nicholas Hoffman & Co. I was talking recently with a younger member of our team and the subject turned to retiring early. I was flabbergasted to hear that apparently quite a few Millennials are focused on retiring before they are 50. Whatever became of the ambition of enjoying a fulfilling life of work? Moreover, if we truly are going to be able to live into our 90’s that means spending about two thirds of our adult life in retirement. This conversation got me thinking and I explored in more detail the concept known by the acronym “FIRE” (Financial Independence Retire Early). Soon the idea started to make sense. I had mistakenly thought the “early retiring” aspirants were looking to settle as non-contributing members of society, with a focus on saving as much money as quickly as possible to exit stage right. In fact, the FIRE movement is about becoming financially independent to eliminate dependence on a paycheck to make ends meet. This idea of ‘Financial Freedom” makes all the sense in the world and the sooner an individual can achieve it, more power to them. In its most simple form FIRE is about minimizing your expenses and aggressively investing in a portfolio that grows to 25 times your annual overhead. This is based on the notion that you can spend 4% of a portfolio and not run out of capital. Living frugally, or perhaps not being wasteful, is a good goal. Saving as much as possible, especially in tax-deferred or tax-free vehicles is also a smart move. However, I do wonder how many people starting a career are in a position to make the kind of income that allows them (after taxes) to save the requisite amount to retire in 10 or 20 years. Over the last 30 years a couple of things have resonated in working with clients on budgeting. The first and most notable is the concept of being debt free. Yes, there are plenty of studies that talk about the benefits of a low interest rate fixed mortgage and the tax deductibility of the interest. But practical experience has revealed something else. The pure joy and psychological freedom of not owing anyone anything has trumped the possibility of a little incremental return on an investment portfolio. We have found that clients are far more comfortable investing more aggressively, and living with the accompanying volatility, when they are debt free. The second aspect of budgeting is becoming conscious of where you are spending. You will probably be surprised at the unexpectedly high amounts that often show up in line items like eating out. So, should our children all aspire to retire as soon as possible? When I lived in Nigeria in 1982 I learned that retirement planning consisted of having as many male children as possible. The tradition was for children to give one third of their income to their parents. Not a bad idea (I am thinking). I wonder when I should share that new family tradition with my children? 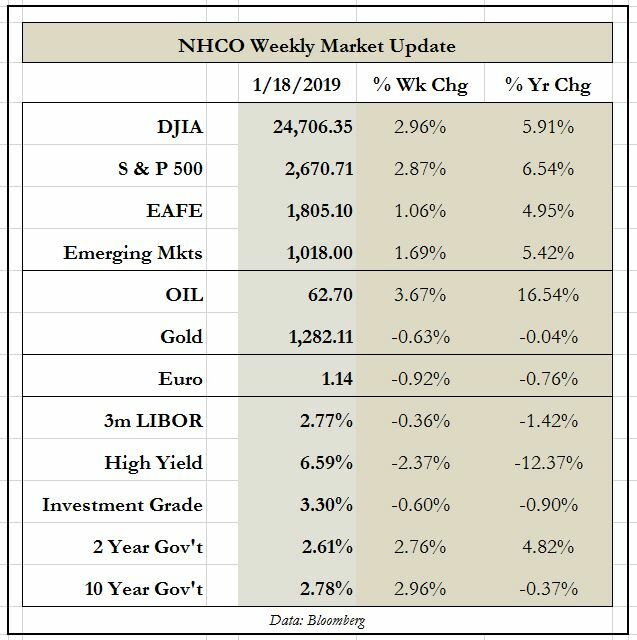 This entry was posted in The Weekly and tagged FIRE, millennials, retirement planning, Savings on January 22, 2019 by nhoffmanandco.